Between 1545 and 1563, Church officials gathered at Trent to address doctrinal issues, and condemn Protestantism. Initiated by Pope Paul III (1534-49), the Council of Trent was an important reforming event that helped reassert traditional Catholic beliefs. The city became the centre for Rome’s Counter Reformation. 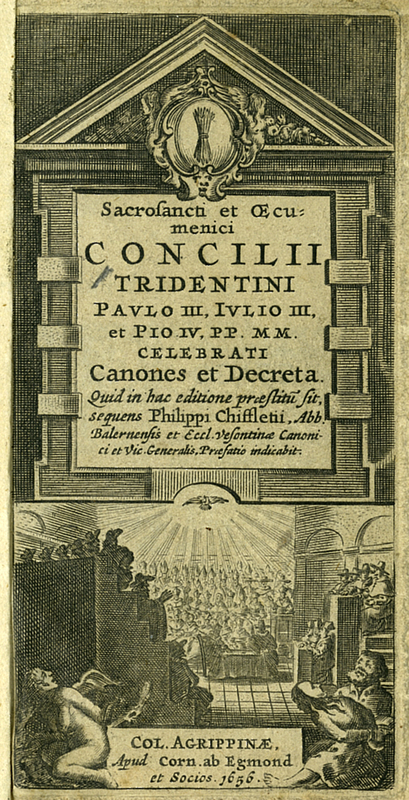 [Council of Trent], “Sacrosancti et Oecumenici Concilii Tridentini Paulo III, Iulio III et Pio IV,” ourheritage.ac.nz | OUR Heritage, accessed April 26, 2019, http://ourheritage.ac.nz/items/show/10382.